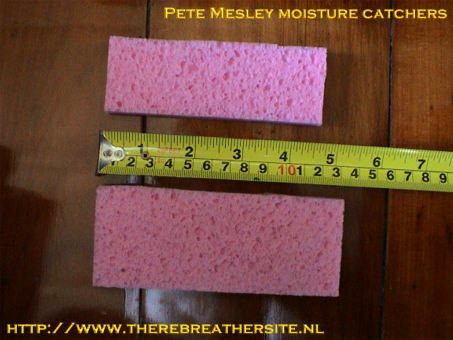 Here is an impression of Petes Super Lid Moisture absorber. 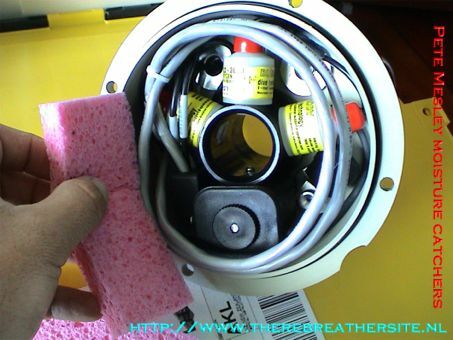 I first got this idea from seeing the inside of the Mk 15.5’s and observed the open cell foam in there to soak up all the condensation. Here are a few picks I have taken on reducing that in my inspiration. 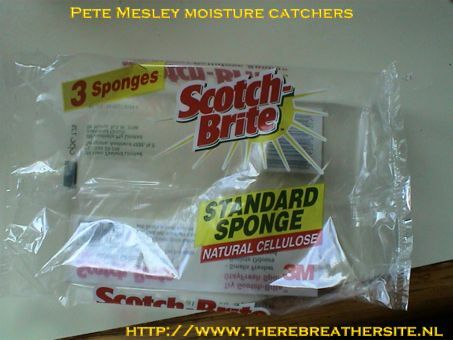 I use basic everyday “scotch brite” open cell foam. This gives the best absorption I have found. The lower section of the pad I measured to fit snugly to the the inside of the lid. The top piece I cut a small end off it so it would fit nicely beside cell 3. Now you could use two new pads and cut them exactly the same width but I just used one. position , hence letting gravity take its toll. The finished product. All cables carefully placed back in their home. 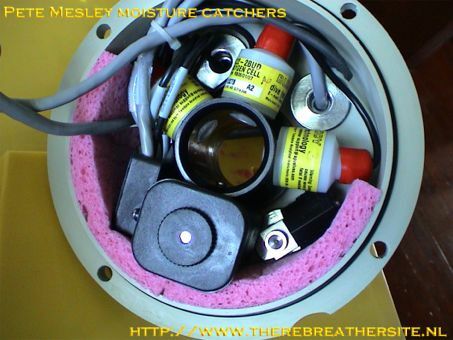 You don’t need to replace these after every dive but what I do is give them a rinse after the days diving. It will be interesting to get some feedback form anyone that does this in the really extreme climates where lid condensation is a problem. Then maybe you will have to change them every dive. Maintenance: Remove totally when in storage and dry completely ( I stick my pads in the drying cupboard). You can have a few of these when you are doing a diving weekend of extended trip. While one set is drying you can have a fresh set in the unit. 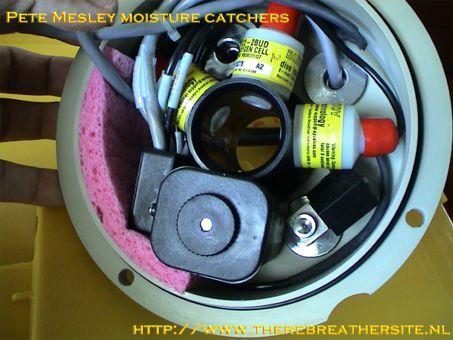 I have also done some tests using these in the base of the scrubber. By placing the pad directly on the bottom of the scrubber and placing the stack on top of it, the pad will absorb 50ml of water. I wouldn’t recommend stacking the pads on top of each other as you do not want to create channelling. I have heard guys using shammy* on the bottom of the scrubber. Any data on how much water that it can soak up? Also I would think that there would be a risk of the shammy flapping up thus causing channelling. But once again I haven’t done this so cant comment. This works great for me. I would really welcome any feed back from people that are doing things differently and are getting good results. Pete, thanks for your contribution.